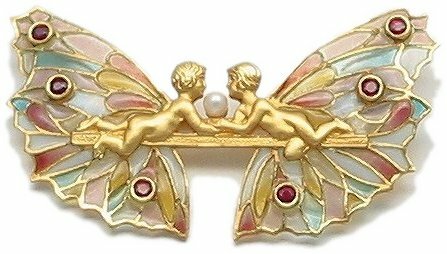 Masriera’s collection of art nouveau plique a jour and basse taille jewelry is coveted by collectors at Christie’s and Sotheby’s. Established in 1839 in Barcelona, Spain, Masriera’s exquisite jewelry can be found in museums worldwide. Masriera crafts some of the most enduring and elegant jewelry in the world. 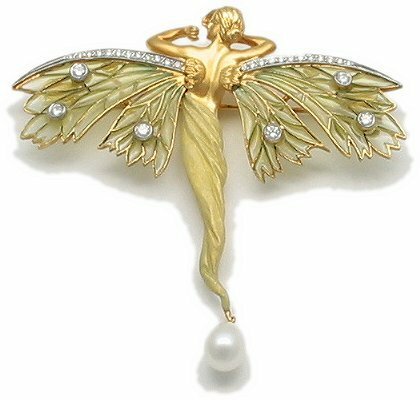 We've been representing their beautiful plique a jour pins, pendants and accessories for many years. Please let us know what piece you are interested in and we'll provide a quote on pricing and availability.